Our Wednesday club rides rotate among our venues and are generally open to levels 3 and up. We meet for, begin and finish our rides in the Caledon Trailways (rail trail) parking lot. Andy Law has volunteered to host level 2 rides in Erin for the month of July. Details will be given during the information session before Monday rides depart, or watch the calendar. 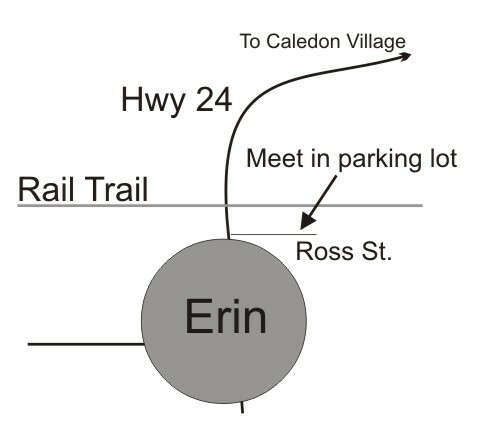 The Erin Trails are open to members of the Caledon Cycling Club only so please carry your membership card with you when riding there as proof of membership. If you ride the Erin Trails and are not a member of the club, you are trespassing.